A fully responsive Landing Shop HTML5 Template that will be a great solution for creating an amazing website for your shop. If you want to open a shop of any kind, this template is what you’re looking for. It has fast, elegant interface that can be customized to your taste. This HTML5 Template includes different layouts with multiple elements. Each element has a stylish look and can be fully customized. 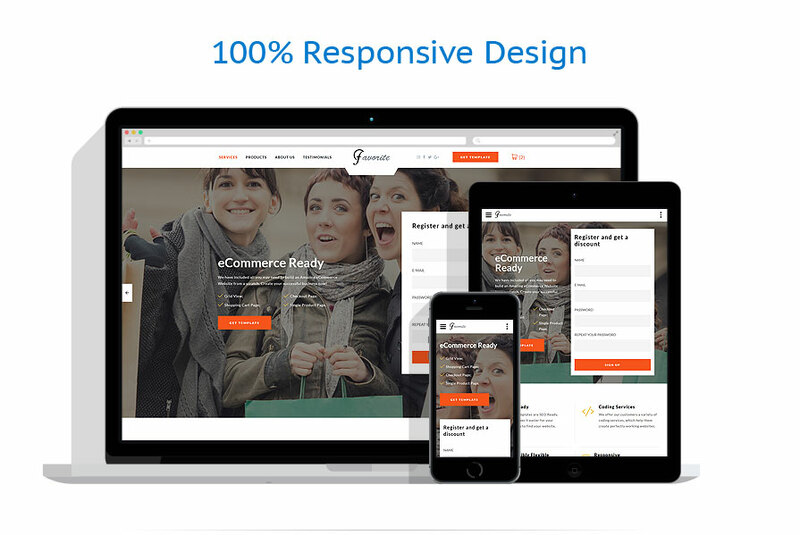 This HTML5 Template will suit a shop of any size. It includes full eCommerce support. Grid view, shopping cart, checkout and single product pages will allow your customers to easily compare and buy products. KUP TERAZ - 53 zł. Sprzedano - 16 szt. tego szablonu.